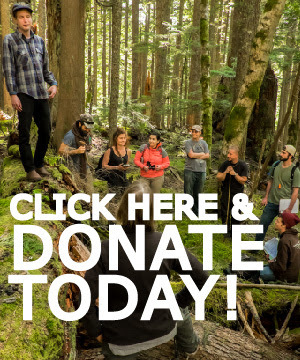 Support Bark’s most ambitious field season yet! Our goal this month is to raise $20,000 to put into direct support for our upcoming field season. We know we can count on our supporters to understand why Bark’s presence in the forest is so important to our year-round efforts of protecting the forest. Please contribute a one-time donation of $100 today. And then come camping with us this summer!! For many years, Bark has hosted base camps that allow us to have a 24-hour presence in the forest. These campouts are essential to build our extensive knowledge of the logging proposals and watchdog work. 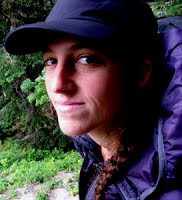 Bark’s staff and volunteers will set up camping spots for four weeks in the forest and you come when it works for you. This makes it easier on people who aren’t able to join regular groundtruthing and makes our work more accessible to families, people who need more training on how to be involved, and supporters who want to meet us out in the forest but are not able to go walking off-trail. These camping events engage a wide spectrum of volunteer skills, while getting us out together in the places we love. Training more volunteers means saving more forests from logging. So, this year we decided to triple our time out there! We increased our staff capacity for the summer and already have an amazing group of seasoned volunteers coming together around this summer’s plans. You can read more about it here. And then please consider a $100 donation to keep what makes Bark awesome. P.S. Have you been to one of Bark’s campouts before? Then you know we also rely on a lot of in-kind donations to make them possible. Check out our wishlist! *Did we get any of your information wrong or did you receive a duplicate email? Please email jenny@bark-out.org so we can fix our record and make sure we have it right. Thanks! **Supporting Bark through this e-mail allows us to keep our fundraising 100% paper-free. We appreciate your support of our e-mail fundraisers. However, if you prefer not to receive solicitation e-mails please follow this link.